Our general and cosmetic dentist, Dr. Binh Dao, and our orthodontic specialist, Dr. Alexis Lyons, welcome you to Douglas Dental & Orthodontics, conveniently located in Roseville, CA. Our practice features a young and energetic staff that’s eager to please, and honest doctors who adopt a comprehensive and conservative approach to orthodontics and dental care. Many offices say it, but we actually mean it: We treat our patients like family and friends, and when you walk in the door, our team makes sure you feel that way! As a dual-specialty practice, we can take care of all your dental needs at one convenient location. Dr. Dao performs all phases of dental treatment, from routine cleanings and simple fillings to smile makeovers using porcelain veneers, teeth whitening, and dental implants. 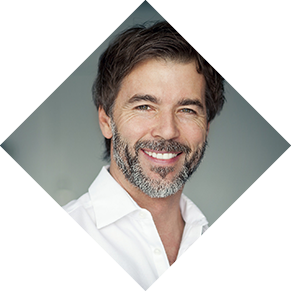 Dr. Lyons, also known as Dr. Lexie, uses traditional braces in addition to lingual braces and is a Premier Provider of Invisalign®. Whether you need full orthodontic treatment or are interested in a quick smile improvement for a special event, she can offer the solution. We look forward to meeting you and your family, and becoming your partner for a lifetime of oral health. Contact our Roseville office to schedule an appointment today!